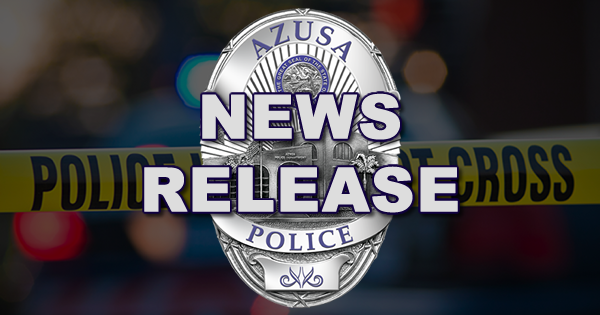 On September 17, 2018, Azusa Police Officers went to the 400 Block of S. Azusa Ave., in the City of Azusa regarding a possible sexual assault investigation. During the investigation, officers learned the female adult victim was walking in the area of Gladstone Park (400 S. Pasadena Ave. Azusa) when a male suspect approached her from behind and forced her to a secluded area. During the attack the suspect knocked the victim to the ground and attempted to sexually assault her. She was able to fend off the suspect with the help of two citizens who were in the area. The suspect was located by Azusa Police Detectives and subsequently arrested. The suspect has been identified as 20 year old Juan Cucul-Caal of Azusa. Cucul-Caal is currently being held at the Azusa Police Department on charges of kidnapping and attempted sexual assault. The investigation is being handled by the Azusa Police Department Detective Bureau. Anyone with information about this incident is encouraged to call the Azusa Police Department Detective Bureau at (626) 812-3200.